We are back with another edition of NBA Fantasy Tonight! There are some big games tonight and it should be a great fantasy night with these match-ups. The NBA Playoff Race has heated up and there are only a few weeks left in the regular season. Most teams have a round seven games left and the final night will be on April 10th. There is still plenty to play for this year. The top eight teams in the Eastern and Western Conference will make the postseason. It should be a lot of fun to watch the action as we get down to the wire. Let's get started with the point guard position. R Westbrook PG 10500. 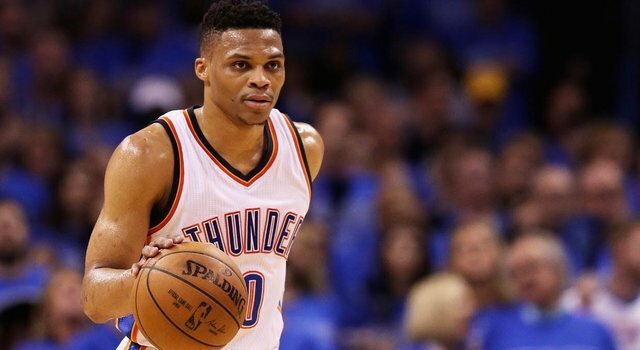 Russell Westrbook and the Oklahoma City Thunder have really been struggling down the stretch. They are definitely going to make the playoffs but they have dropped from a top four seed to possibly being a seventh or eight seed. That could spell doom and a first round match-up with the Golden State Warriors. Westbrook and his teammates will fight like hell for the next two weeks to try and move up the seeding. They face a good but weary Indiana Pacers team tonight. I like Westbrook to put up a triple-double and go over the 60 point fantasy number. J Fredette SG 3000. Jimmer Fredette is the cheapest player on the board tonight. He was recently signed by the Phoenix Suns after another monster year in the Chinese Basketball League. But Fredette has struggled shooting so far and needs to impress the front office on the court. He will get a great shot tonight against a tired Washington Wizards team that played on the road last night and then had to travel to Phoenix. 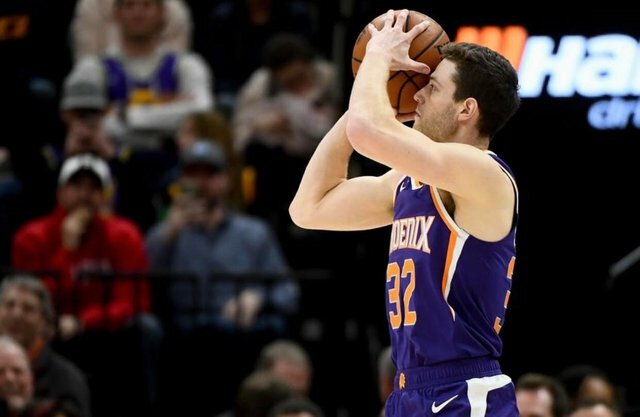 I like Jimmer to make the most of his opportunity tonight and have a big night for the Suns. K Kuzma SF 6600. 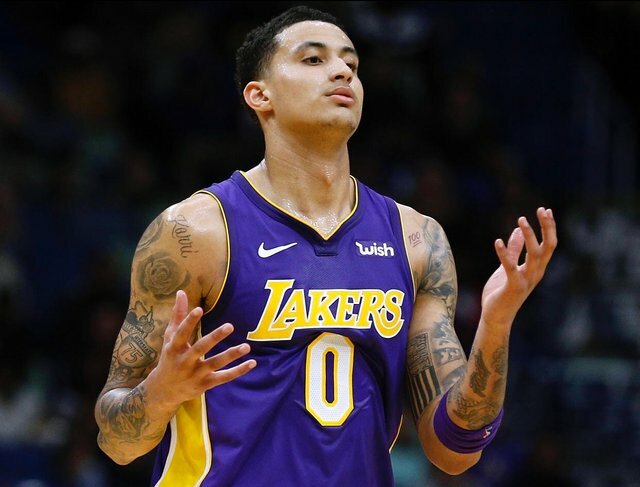 Kyle Kuzma will have the opportunity to be the number one target tonight for the Los Angeles Lakers. It looks like Lebron James will sit out for "rest" and that will put Kuzma in a great spot for a huge fantasy night. I expect him to lead the team in shots and scoring and smash his fantasy average of 31 points per game. Kuzma is my MUST PLAY player tonight and he will not let you down. R Gobert C 8200. Rudy Gobert is having his best season ever in the NBA. He is a big reason for the success of the Utah Jazz and has been dynamite down the stretch. Tonight he will face a lazy Lakers team that plays little defense and is soft. 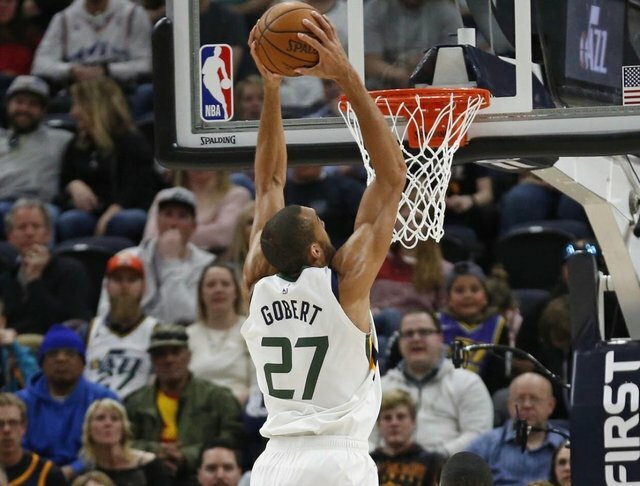 Gobert averages 41 fantasy points per game and I think he will go well over the 50 point mark tonight. Gobert has been playing with a little extra fire in the second half of the season. He thought he was going to be an All-Star but was unfortunately snubbed. That has lit a fire under him and he will come up big tonight on his home court. There should be plenty of scoring tonight in all of these match-ups. With just two weeks left in the regular season, these players are not only playing for the playoffs, but also for their futures. Good luck tonight with your fantasy picks. I upvoted your contribution because to my mind your post is at least 21 SBD worth and should receive 563 votes. It's now up to the lovely Steemit community to make this come true.